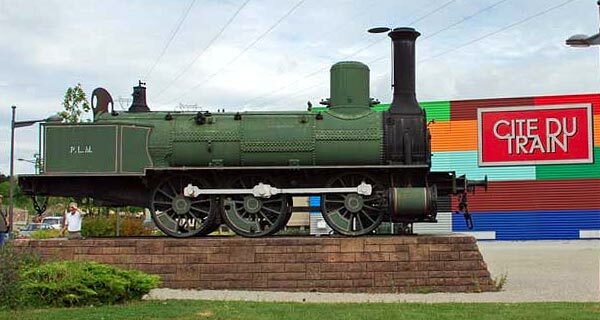 The idea of a railway museum in France dates back to the early 20th century and the closure of the Universal Exposition in Paris. A little later, in 1944, several sites were being put forward as the home for such a museum in Paris:the Grand Palais, the Gare Montparnasse, the depot at Champ de Mars and even the Gare des Invalides. But endless difficulties stood in the way of bringing the project to fruition. This "first museum", officially opened on 12 June 1971, remained open for 5 years and welcomed 206,755 visitors. The museum's second phase was opened to the public in 1983. The French Railway Museum puts over 100 locomotives and carriages on display on 1350 metres of track together with a large number of items of industrial equipment (electric traction, safety and signalling) covering an area of 13,000 m2 (including spare track). On 19 May 1982 the museum welcomed its millionth visitor. Between 1971 and 1983 the numbers of paying visitors rose steadily, reaching 239,807 visitors a year by that stage. Thereafter the numbers gradually diminished up to the time of the museumís closure for refurbishment on 31 December 2003. As from 11 March 2005 the new French Railway Museum at Mulhouse became the Cite du Train. It offers visitors a new hall of 6000 m2 (heated in winter and air conditioned in summer) in which 27 items from the collection of rolling stock (steam, electric and diesel locomotives, railcars, electric railcars, coaches and wagons) are displayed in a stunning and original audiovisual setting created by the Atelier Francois Seigneur that sets off the world of the railways to the best possible advantage. It all begins in the station of a small seaside resort: the charming "holiday camp" Micheline XM 5005 arrives, purring quietly since it runs on rubber tires and without the usual clatter of iron wheels. This is the moment to mention André Michelin's celebrated case of insomnia that gave birth to the idea when, during a journey in a sleeping car, he decided to build a train that ran on rubber wheels in order to put an end to the constant clatter of the steel wheels on the rail joints. The Micheline units where build between 1932 and 1938, they had 250 HP and where 105 Km/h fast. Next, a change of scenery, as we discover the 3rd class carriages, divided into 5 spartan compartments. 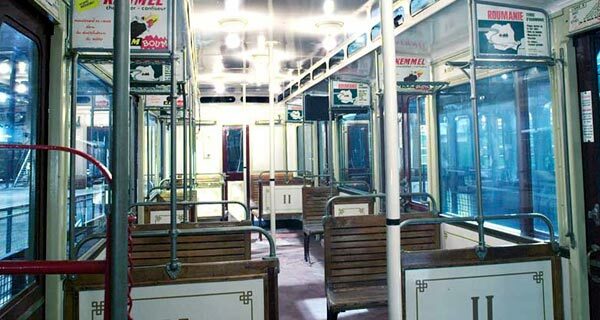 These were used to transport French workers on their paid holidays, which began in 1936. The big rotary snow plow made by the American Locomotive Company in 1908. The snow plow was made of a steam engine and cab, and was coupled to a tender to supply it with coal and water. Since it was not self-propelled, the snow plow had to be pushed by another locomotive. With the side removed the boiler, cylinder, motion and gearing can clearly be seen. Behind is a tender locomotive Mikado type 141. The 141 TA locomotives where built on the Swiss model from "SLM". The beautiful and famous Presidential PR1 Car allows visitors to recall the misfortunes of President Paul Deschanel, who, taking advantage of an unscheduled stop in open countryside, got down from the train dressed only in his nightshirt, only to be left behind when the train started up again. The following morning, an item in the local newspaper read as follows: "A lunatic, dressed only in a nightshirt, is reported to have knocked on the door of the level-crossing keeper, claiming to be the French president, Deschanel subsequently resigned. The next pictures shows Presidential PR2 Car. In 1914, mobilisation began amid the general enthusiasm of the Sacred Union. The Bpy135 NORD carriage of 1909 is covered with graffiti claiming "to Berlin". A loud explosion! A locomotive is lying on its side on the embankment. Behind it, the rails are completely mangled. The battle of the rails is reconstructed from war footage showing various acts of sabotage. 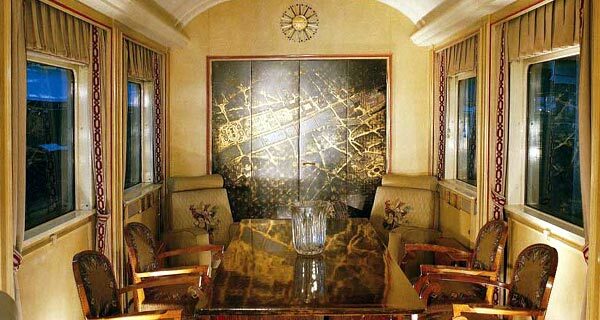 In the second row of pictures (above) you can see a Pullman saloon car and a sleeping car. In order to offer ordinary passengers a level of comfort equivalent to that provided by the new overnight sleeper cars, in 1926 those cars where created by Pullman, which combined a carriage, salon and restaurant into one. 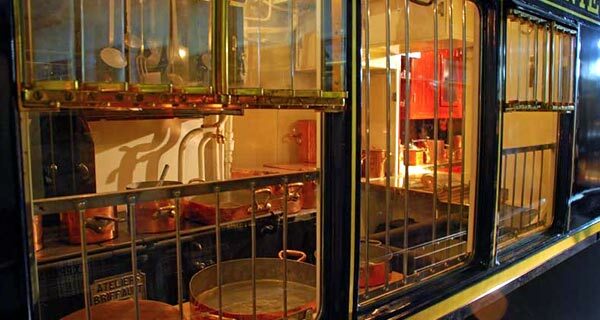 These trains consisted of a number of coupled carriage pairs and for each pair one carriage contained a kitchen which served both carriages. These pictures (above) show the difference in travelling accomodations depending on the money you spend. Inside or outside the car and the choice of first, second, third and fourth class. The Museum had also a very nice streetcar (with some lovely passengers). Let's have a look at the early French 4-8-2 State Railway 241 A1, a 4 cylinder de Glehn type compound. This class of locomotive were developed from the very first 4-8-2 to run in Europe. They could produce 3650 cylinder horsepower. Being a de Glehn type compound, the high pressure cylinders are on the outside. The next photo with the two Steam Engines shows a Nord Atlantic 2.670 (in the back). This locomotive is built to a 1899 design, these locomotives could haul 350 tons easily at 75mph. The Locomotive could produce 1400 cylinder horsepower. In the foreground is a "Bourbonnais" Steam locomotive from the year 1854. It does not have a closed Driving Cab!